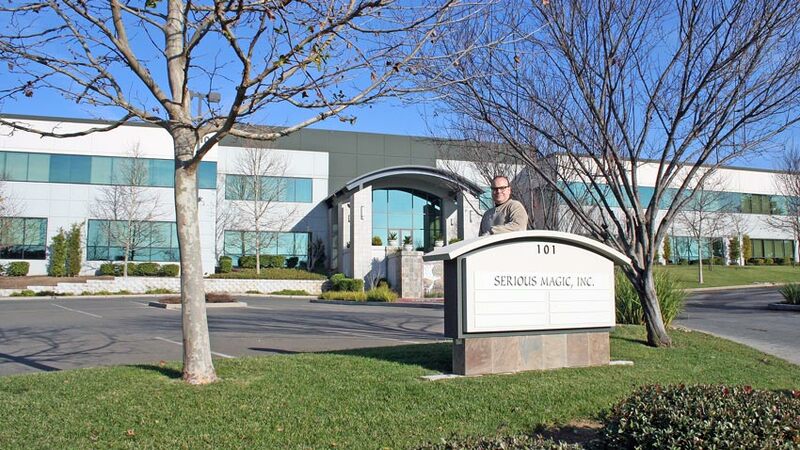 Mark founded his most recent company, Serious Magic, to create a new generation of affordable media tools. As Chief Magician, he recruited a world-class team by crafting a compelling vision: inventing breakthrough technology so advanced it would be ‘indistinguishable from magic’. The company’s debut product was Visual Communicator, the world’s first video blogging tool. 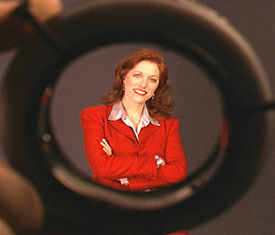 It introduced an innovative new interface built around a scrolling teleprompter instead of a timeline. This proved revolutionary for instructional videos, website demos, video blogs, and more. State-of-the-art effects, titles and graphics were generated by Serious Magic’s real-time 3D engine, the first ever to use GPU technology for video effects. Not only did it deliver high-end visuals that expensive pro tools couldn’t, it created them instantly, without waiting hours for rendering. When the first video demonstration was posted online, some experts suspected it was a clever hoax. What it showed seemed impossible. This controversial video was viewed over one million times. Doubts vanished when Intel featured the Serious Magic technology in their Developer Forum keynote. There had never been anything like it and huge crowds packed the aisles to see the magic. Visual Communicator became a best-seller at over 5,000 retail locations including Best Buy, Fry’s, Office Depot, Circuit City and CompUSA. It won eight “Best of Year” awards including the industry’s top honor, PC Magazine’s “Technical Excellence Award” declaring it “sheer technological innovation… simply amazing“. High profile users included half the Fortune 500, TV stations, schools, the White House and UN. 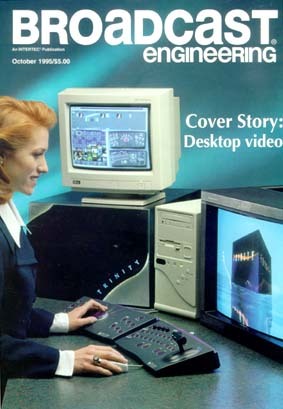 It even produced Predator spy plane footage on laptops in the battlefield. 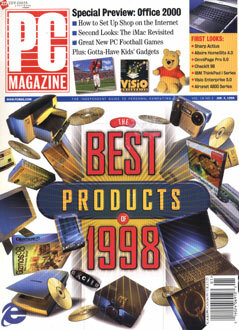 Versions sold from $100 to $500 and magazine reviewers raved calling it “astonishing” and “revolutionary” while users thrilled at the magic in their hands. Serious Magic’s next product, ULTRA, disrupted the green screen market with new technology called Vector Keying which achieved high-quality background replacement. It was also the first product to take the power of 3D virtual sets beyond million dollar Hollywood studios and put it within reach of everyone. ULTRA won three “Best of Show” awards followed by two “Product of the Year” awards. Reviewers cheered with words like “astounding” and “pure magic” while DV Magazine called it “an amazing, drop-dead cool product“. Users adored ULTRA as well as the breathtaking 3D virtual sets available in $400 add-on packs called Master Set Libraries. 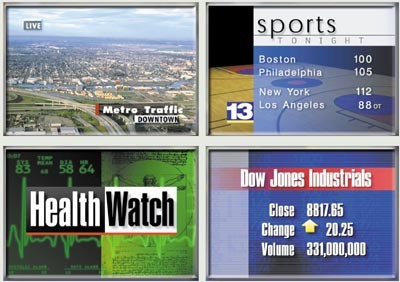 The ULTRA demo videos, produced by Mark himself, were also much-loved by users. Featuring thumping soundtracks and wildly impressive visuals, the MSL3 demo video and MSL2 demo video were fan favorites. DV Rack, unleashing another totally new idea on the industry: ‘Laptop Assisted Video Shooting’. Replacing a traditional production truck full of equipment with one application, users fell in love with the power and the cool retro rendered interface, evoking memories of classic gear. 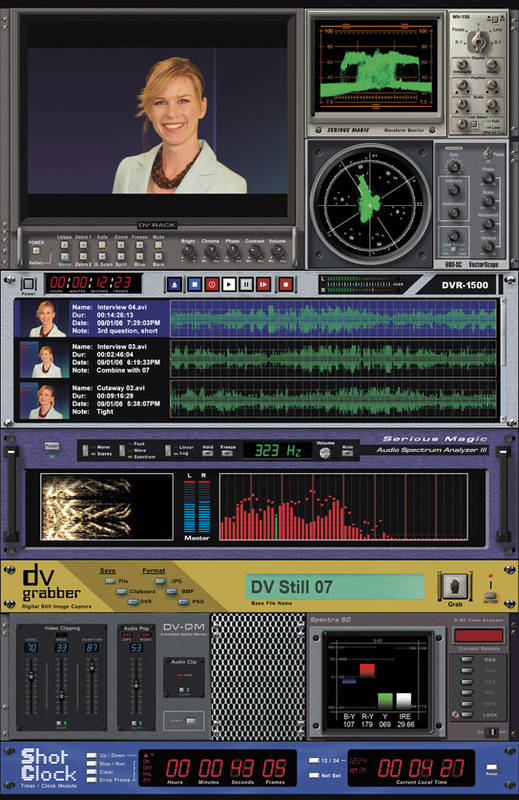 DV Rack (now called Adobe OnLocation) brought home three “Best of Show” awards from NAB and won “Product of the Year” from three national publications. 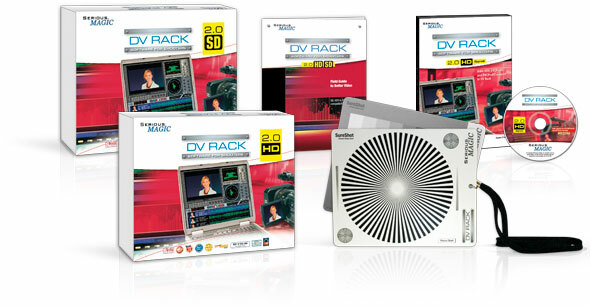 Reviewers praised DV Rack, with Videography reporting “anyone who sees this software raves about it” and VideoGuys observing “Serious Magic has done it again“. 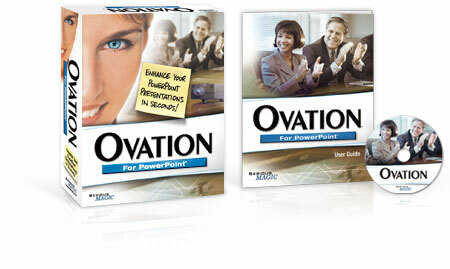 Serious Magic’s last product was Ovation, a $100 tool to turn ordinary PowerPoint slides into visually stunning presentations. 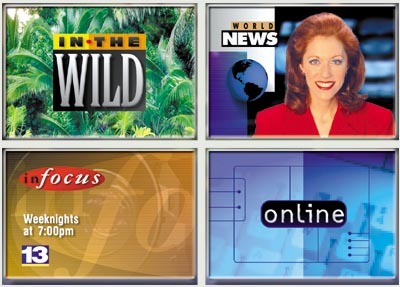 At the press of a button, lifeless PowerPoint shows were magically transformed into television-quality experiences, with smooth animated motion and sophisticated 3D effects ranging from tastefully subtle to powerfully attention-grabbing. Serious Magic’s talented design team created a wide variety of compelling visual styles called PowerLooks. 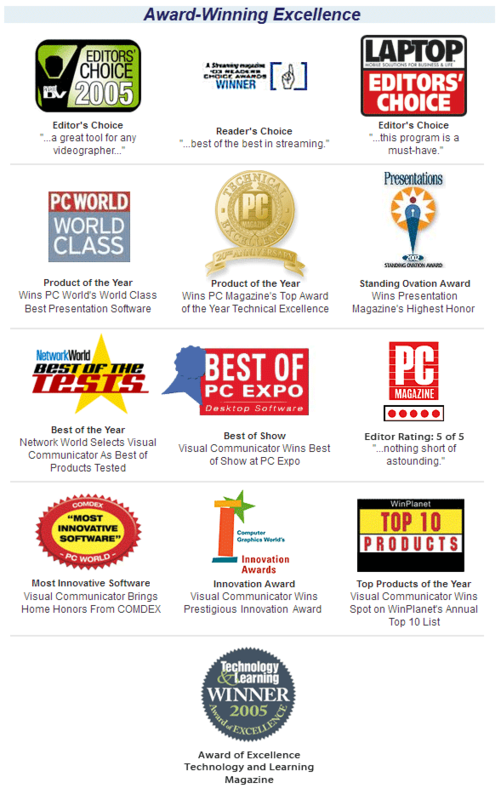 Ovation won prestigious awards including PC World’s “Best Products of the Year”. 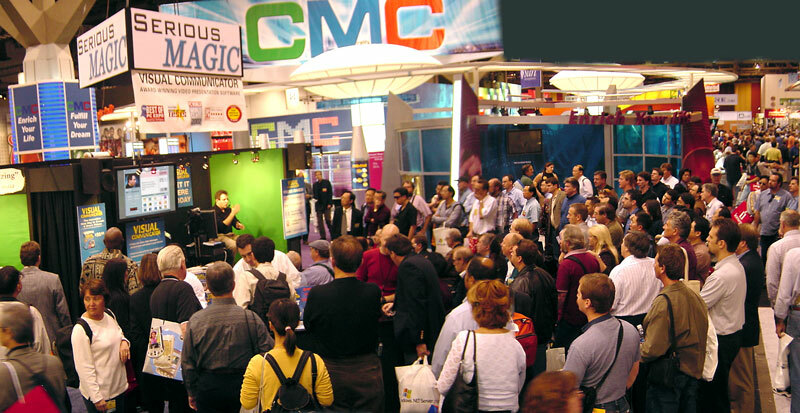 From Time Magazine to Inc, reviewers applauded while users loved the magic it gave their presentations. 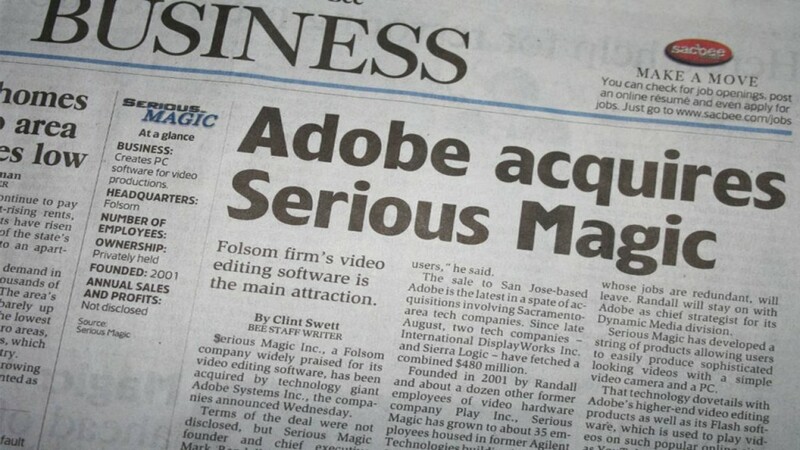 After acquisition interest from both Apple and Microsoft, Adobe Systems acquired Serious Magic incorporating the products, technologies and teams into Adobe’s product groups. See some rare photos from the early days of Serious Magic. 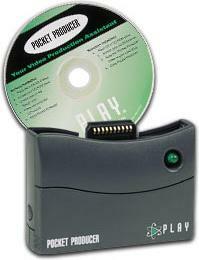 In the mid-nineties Mark co-founded Play Incorporated which he named after his favorite button on a VCR. 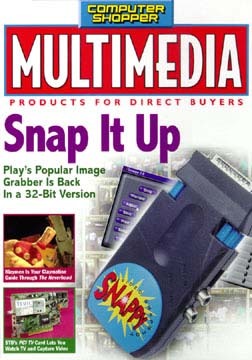 Play was a self-funded startup, whose first product, was a video capture hardware peripheral named Snappy Video Snapshot. It connected to the printer port of a PC with a camcorder or VCR plugged into it. Using a custom chip, Snappy captured stills from video with unprecedented quality. The product generated over $30 million in its first year. 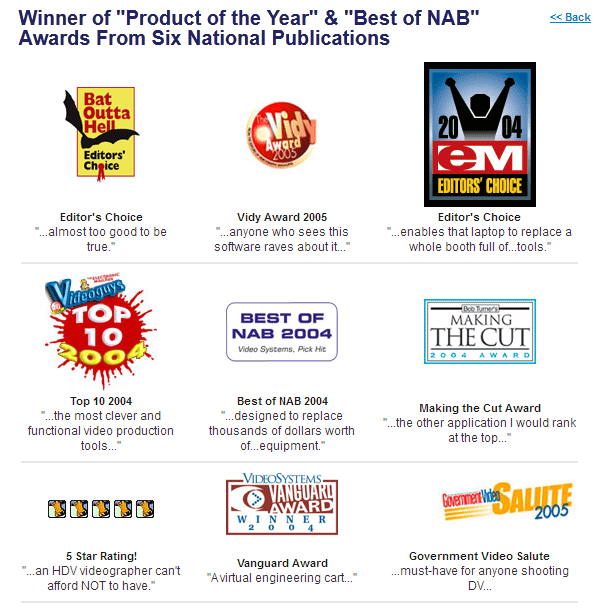 Snappy went on to sell over one million units and win 25 editorial awards including the industry’s highest honor, PC Magazine’s “Technical Excellence Award” as well as fantastic reviews. 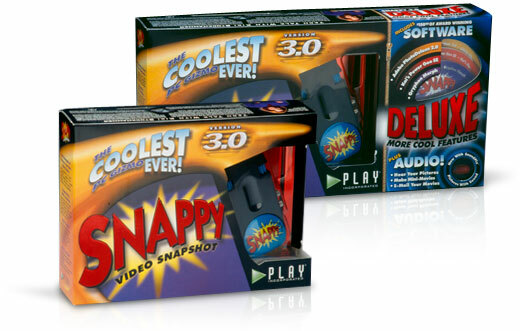 Snappy was distributed at over 10,000 retail locations advertised on national TV and radio. 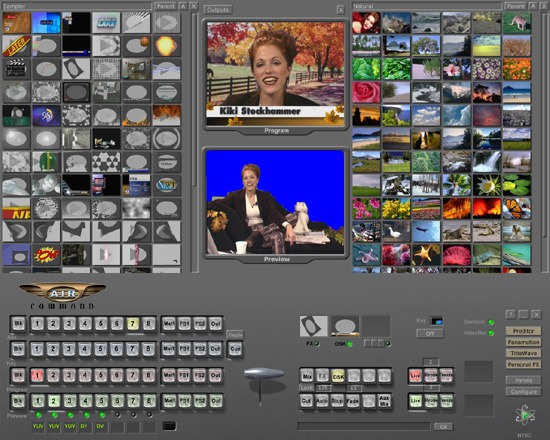 Play’s second product, Trinity, was a powerful multi-camera video switcher, editor, video effects, titler, frame store and paint box, replacing over $100,000 worth of gear for less than $10,000. 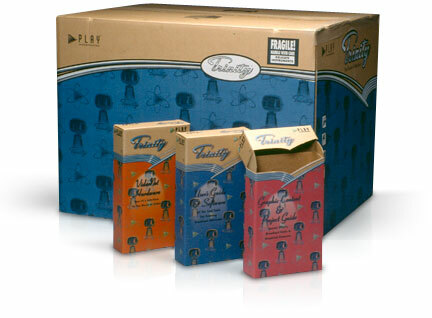 Trinity was an expandable hardware system based on 18 circuit boards with 29 custom chips. 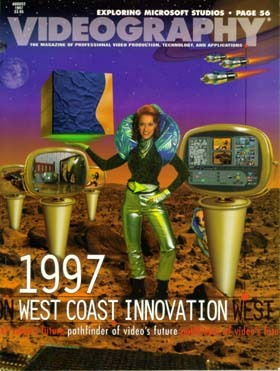 The system was deeply disruptive to the existing production market and at launch was featured on the cover of every industry magazine. It’s the only product ever to sweep all five editorial awards for “Best of Show” at NAB, and the only product to ever win “Best of Comdex” twice. 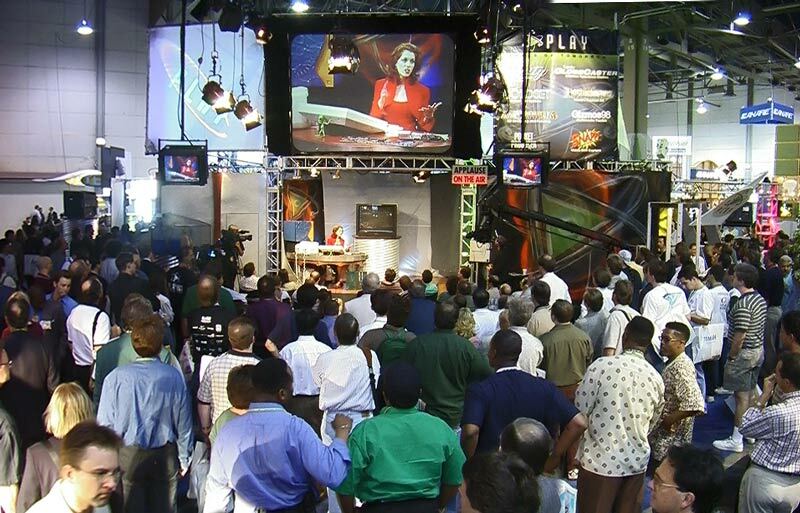 At one trade show, the crowds around the Play booth grew so large the fire marshal feared a stampede and cut power to the booth until the crowds could be safely dispersed. Trinity launched to universally positive media reviews. Bill Gates commented in his NY Times column, “It could open the video-editing market to lots of new companies“. 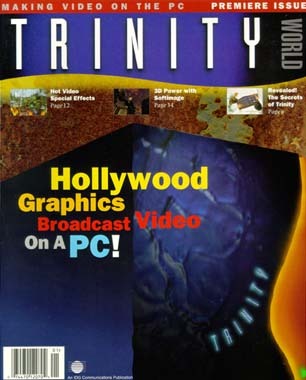 IDG, the publishers of PC World magazine, released a 64 page special edition magazine called Trinity World. Digit Magazine awarded Trinity the first perfect 5.0 review in the magazine’s history saying, “This is going to make waves“. 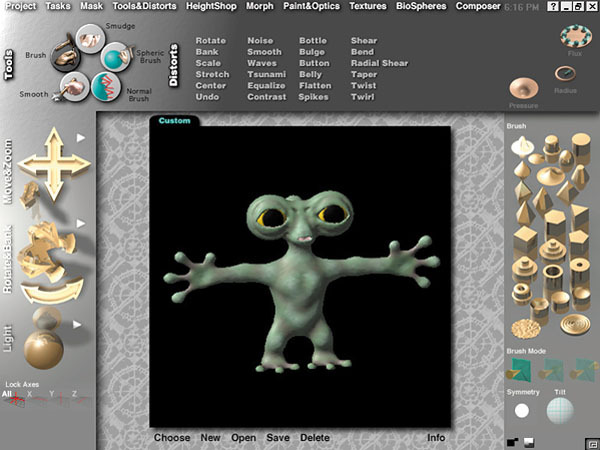 Play’s 3D animation tool, Electric Image, created visual effects for hundreds of movies and TV shows including Hollywood hits such as Titanic, Terminator 2, Mission Impossible, Men in Black, The Mask, Star Trek: Insurrection, Star Trek: First Contact, Star Trek: The Next Generation, Pirates of the Caribbean: The Curse of the Black Pearl, Austin Powers, Contact, Lost in Space, Blade, Dateline NBC and over 800 shots for Star Wars: The Phantom Menace. 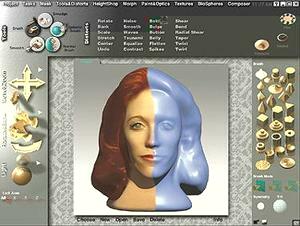 The software was behind countless Emmy and Oscar awards for visual effects and is still available today. This Electric Image demo reel, edited by Mark, opening with the destruction of Los Angeles in Terminator 2 and closing with the explosion of the Death Star from Star Wars, is like an amusement park ride through the greatest science fiction and action movies of the decade. The next Play product, Gizmos, returned to the consumer space. A $50 collection of 25 desktop accessories for Windows computers, Gizmos was the first glimpse of what apps on mobile devices would become. It was also the first consumer product to feature completely 3D rendered interfaces that looked like physical devices, foreshadowing the look of many interfaces of today. 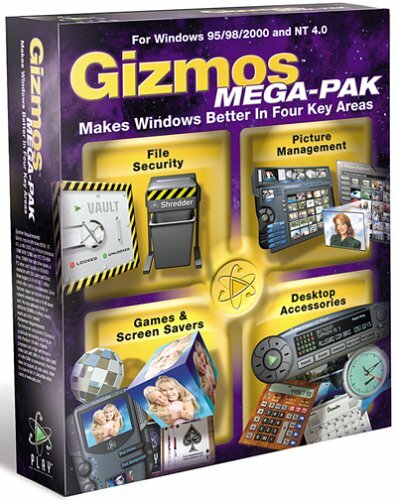 Gizmos sold hundreds of thousands of units and PC Magazine named it one of their “Products of the Year” calling it, “one of the coolest accessory packages anyone has ever seen“. 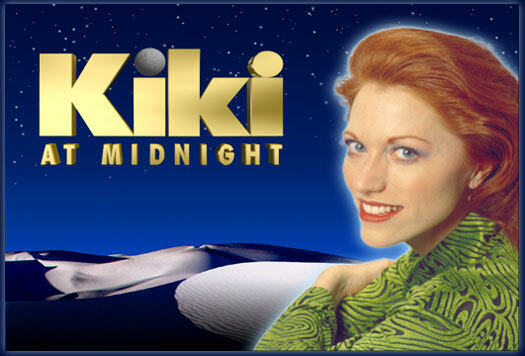 Gizmos was advertised on national TV with a commercial produced entirely with one of the Gizmos called Performer. 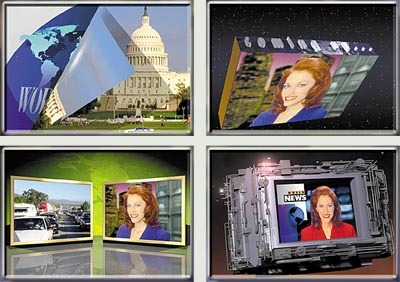 chroma keying developed in collaboration with researchers at the BBC. 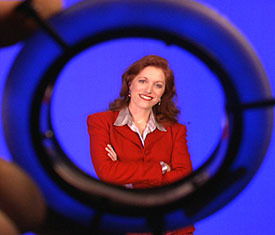 The HoloRing optical emitter was placed on a camera lens. 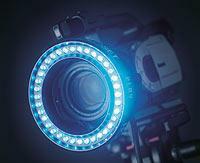 HoloSet’s specially tuned retro-reflective background material would appear gray to the naked eye but a camera fitted with the HoloRing would see vibrant blue light waves reflected off the background. HoloSet eliminates artifacts like chroma-spill and tell-tale color ‘fringes’ around talent, it even works with scenes lit only by candlelight. 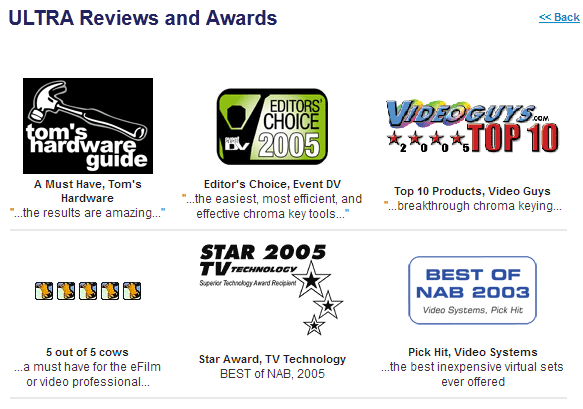 HoloSet won three “Best of Show” awards at NAB and the technology remains on the market today. like metaball modeling, morphing and 3D paint, yet with an intuitively simple interface. 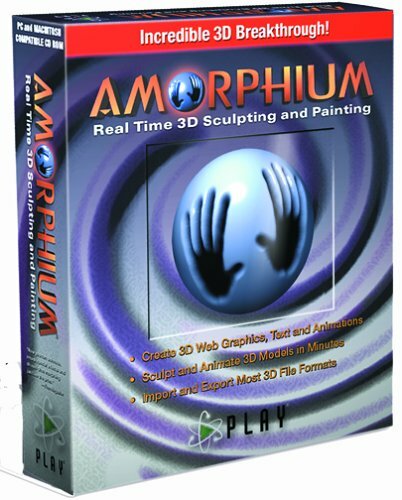 Amorphium won 14 editorial awards including Computer Graphics World’s “Innovation Award” and “Best of Show” at MacWorld, NAB and Comdex. 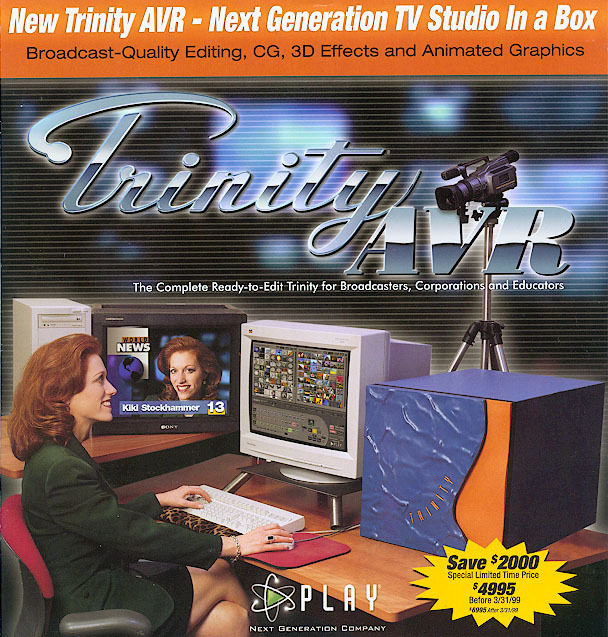 Time Magazine said, “It’s like having the ultimate Play-Doh in your computer” and ZDTV called it, “revolutionary“. 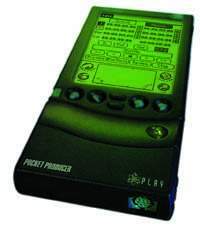 Play’s final product was Pocket Producer, a $400 hardware add-on with software that turned a Palm Pilot into the world’s first handheld shot logging and editing tool. 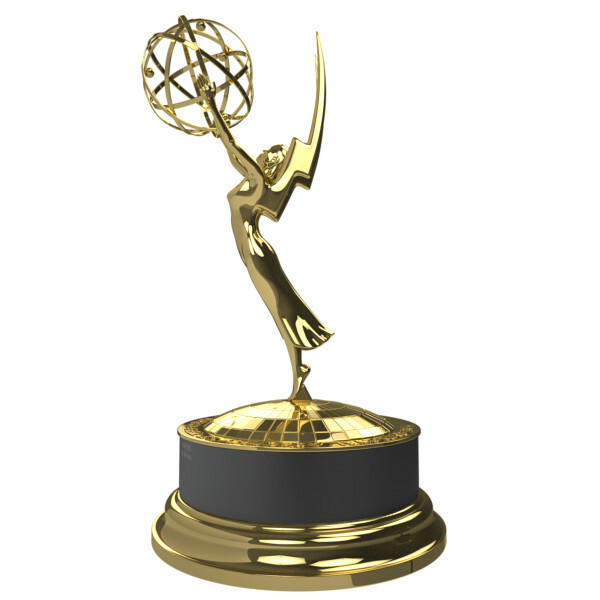 It brought home “Best of Show” honors from Television Broadcast and Millimeter magazines. Chris Munro, a Hollywood sound engineer used the new tool on “James Bond: The World is Not Enough” and “The Mummy” reporting, “It was the key to eliminating the need for editors to work into the night to produce synchronized dailies. Ultimately, it can result in a savings of $30,000 to $50,000 in the production budget“. Play also launched the first live Internet television network, PlayTV, featuring a schedule of 12 hours of live streaming shows each day. 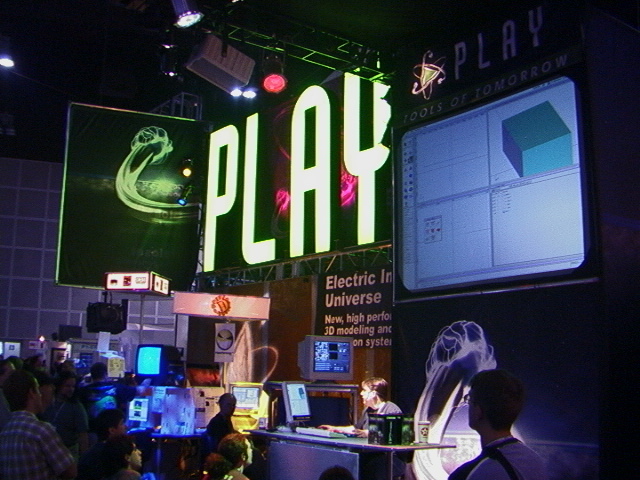 Produced at Play’s own studios, the shows fed off live audience interaction via instant messaging and polls. 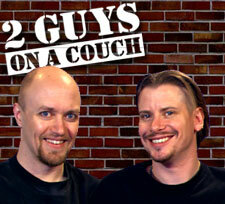 Popular shows included “Two Guys on Couch“, “Kiki at Midnight” and “The Prime Directive“, a comedy show about two Star Trek nerds in search of love. 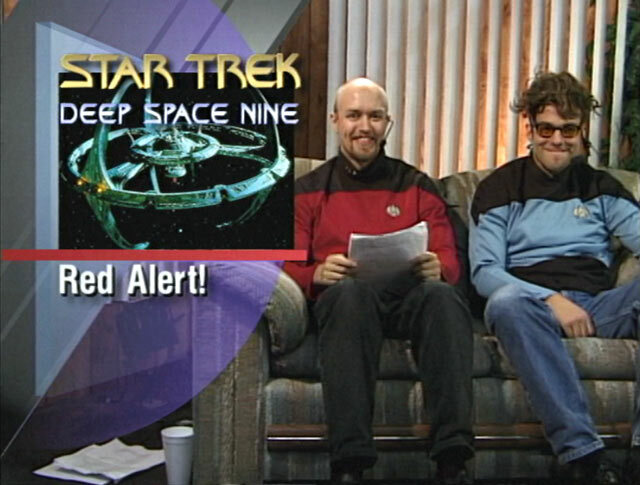 See the PlayTV launch promo commercial and an excerpt from The Prime Directive. 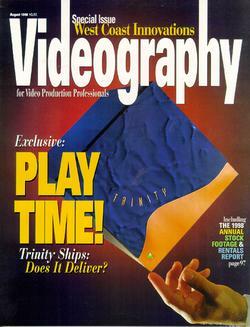 TV Technology magazine called Play Incorporated “one of the industry’s most aggressive and innovative developers“. 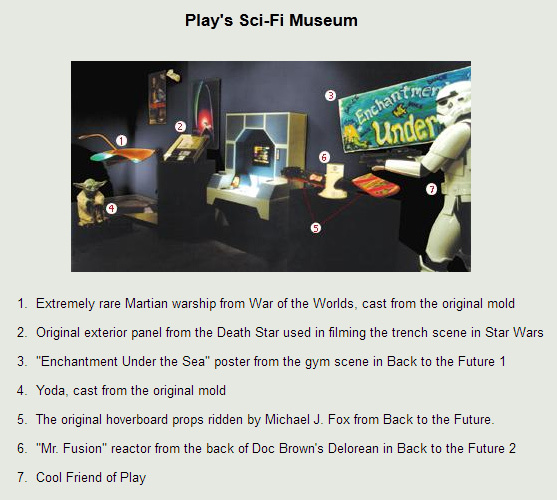 The company had it’s own magazine and even housed a science fiction museum featuring original props from Star Wars, Star Trek, War of the Worlds and Back to the Future. 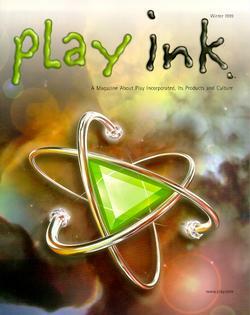 In 2001 Play Incorporated was acquired by Globalstreams. See behind the scenes photos from the days of Play. After college and stints as a software engineer for various Hollywood production studios, Mark Randall joined some hacker friends in a fledgling, bootstrapped startup named NewTek that would go on to create a radical new tool: the Video Toaster. Far ahead of its time, the Toaster was the first computer-based hardware to ever manipulate live video. Shipped in 1992, and now featured in textbooks on the history of media, the Toaster ignited a revolution that changed an industry. When the first prototype was shown in a tiny booth at the back of the NAB show, makers of traditional “big iron” video gear costing hundreds of thousands of dollars scoffed, saying these “computer punks” were no threat to high-end television gear. They were proven wrong when the Toaster quickly became one of the most successful products in the history of video production, winning an Emmy award in 1993 for outstanding technical achievement. 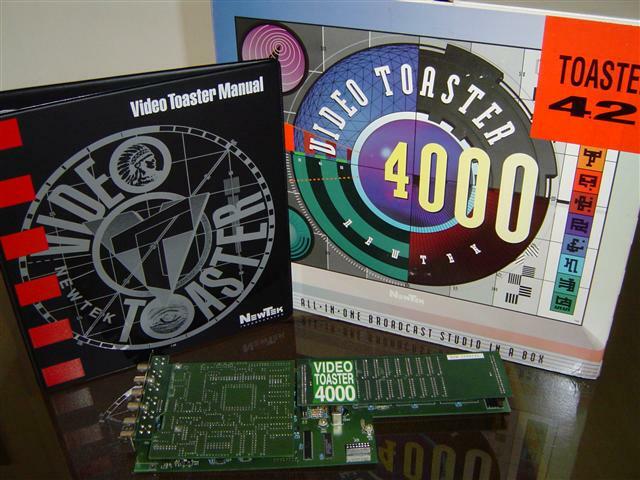 As the tuxedo-clad Toaster “punks” walked the red carpet in Hollywood to receive their Emmy award, it marked the end of the analog era and the birth of desktop video production. More then just a product, the Toaster became a symbol for the democratization of media, putting the means of production in the hands of the masses. The NewTek team was dubbed “revolutionaries” by Tom Brokaw in a lengthy feature on the NBC Evening News, featured as “the bad boys of video” in Rolling Stone Magazine and covered in Time, Newsweek, Business Week, Forbes, Fortune, NY Times, WSJ and many others. The Toaster first found acceptance with cable access studios and event videographers. 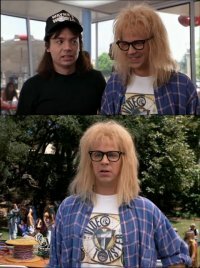 Comedian Dana Carvey even wore a Video Toaster T-shirt in the Saturday Night Live skit, and subsequent film, “Wayne’s World” about two cable access commandos broadcasting from their mother’s basement. It then began proving itself with corporate, local, and eventually, national broadcasters. Demo videos, such as this one produced by Randall, starring Toaster users Penn Jillette, champion skateboarder Tony Hawk and actor Wil Wheaton, were crucial in convincing a skeptical industry the future had arrived. Watch for a cameo appearance by NewTek’s own private jet. In 1993, Randall gave a speech at the NAB conference predicting, “Someday your favorite TV show will be made by you or someone you know“. This seemingly bizarre prediction, made before the consumer Internet existed and more than a dozen years before YouTube and video recording phones would be born, has come eerily true. 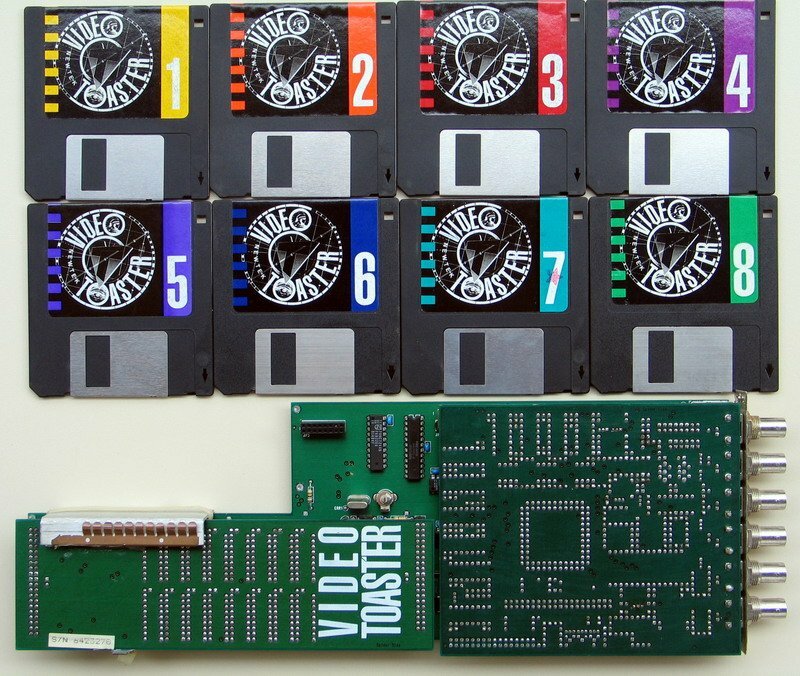 The Toaster was based on Commodore’s Amiga computer and as Commodore began to decline, creative differences arose between senior NewTek executives, largely about moving to the PC platform as well as moving the company out of Topeka, Kansas. 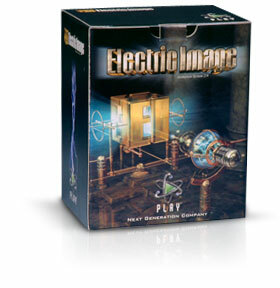 After attempts to resolve the situation reached an impasse, a handful of key NewTek executives, including Paul Montgomery and Randall, left the company to start Play Incorporated in California. NewTek remains an industry pioneer, now selling the TriCaster, a descendant of the original Video Toaster that bears the same revolutionary spirit. See more photos.